Hippolytushoef, The Netherlands (January 2014). 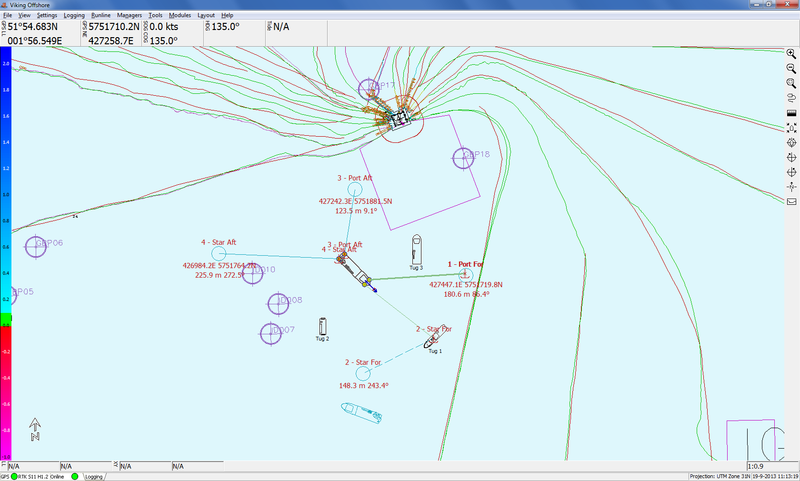 CT Systems unveils the all new Viking Offshore software. Viking Offshore is specifically designed for use on a wide range of offshore vessels, ranging from a Tug to a large Jackup rig. 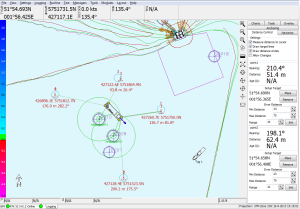 Viking Offshore continues on the foundations and success of the existing Viking Navigation software. 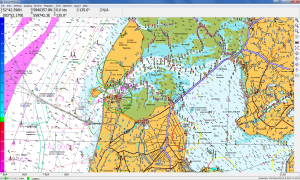 With Viking Navigation as a rock solid base, Viking Offshore makes use of the same ease of use and extended navigation functions. 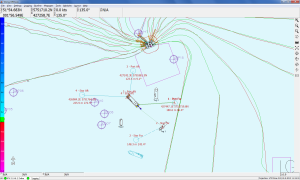 Besides the existing Navionics and Autocad DXF support, Viking is expanded with support for Real-Time backup to a secondary Viking Offshore system and automatic switching to a backup GNSS Receiver. This module provides Viking with a multi point anchoring and tug management Solution which is easy to operate from a central vessel. Anchor plans can be designed beforehand and printed out for approval after the anchors have been dropped to keep record. 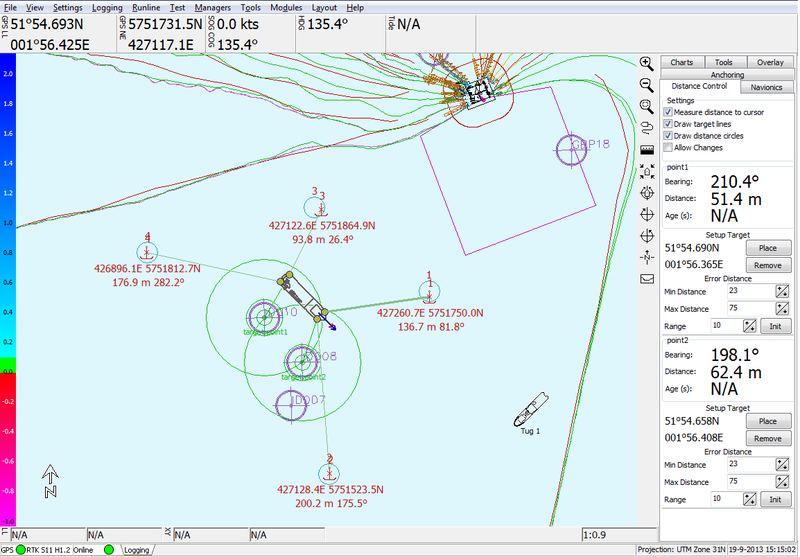 Through wireless communication the anchor plans can be shared with multiple tugs and the system will record where the anchors are dropped. 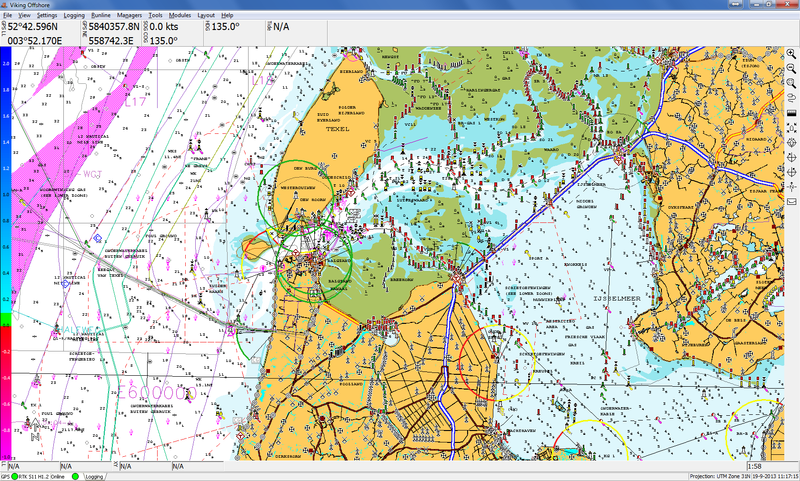 This module provides Viking with an on-screen display of distances from the vessel to points around it. Warnings can be displayed when the vessel goes too far away or too near to these points. Points around the ship can also be updated real-time through an external source like a sonar device to provide distances to moving objects. This specialized Offshore feature provides Viking with the capability to synchronize everything with a secondary Viking backup system. It will be able to switch to a backup system in case of a problem in the primary system. By keeping both systems running there will always be a backup of the Viking files. CT Systems, in business since 1976, is an innovative company highly experienced in any professional maritime sector. Situated on a central location along the Dutch coast-line, nearby Den Helder, the capital of the North Sea. The main activities are development and installation of hardware and software for usage in the offshore-, commercial fishing-, survey-, maritime construction-, and dredging sector. CT Systems also provides related services, such as the pre- and post processing of data for on- and offshore projects, and perform hydrographic surveys. For further information and product pictures you can contact Mr. Ben de Groot via +31(0)227 591295 or via email: ben@ctsystems.eu.